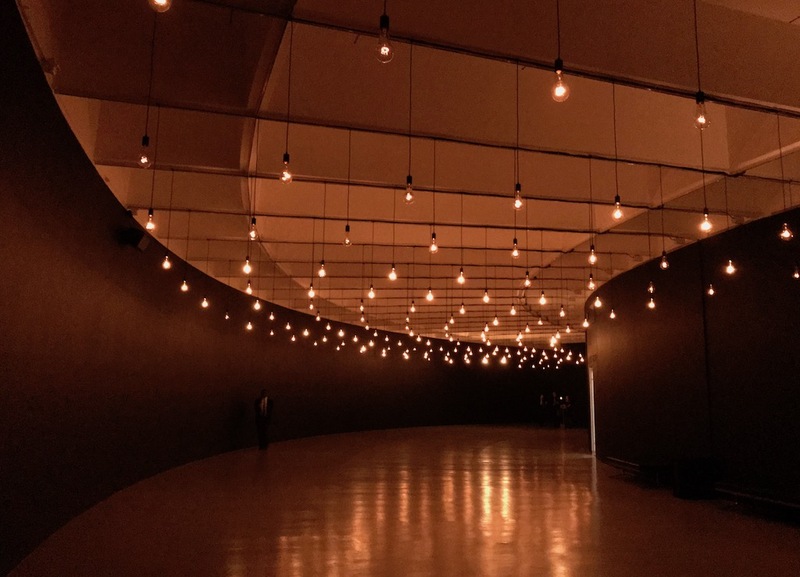 A new exhibit at the Hirshhorn will capture your heart — literally, you might say. Pulse, created by artist Rafael Lozano-Hemmer, combines science and art in the museum’s largest interactive technology exhibition ever. It’s beautiful, unique, thought provoking, and so interesting. And it offers an experience that all ages can appreciate in some way. 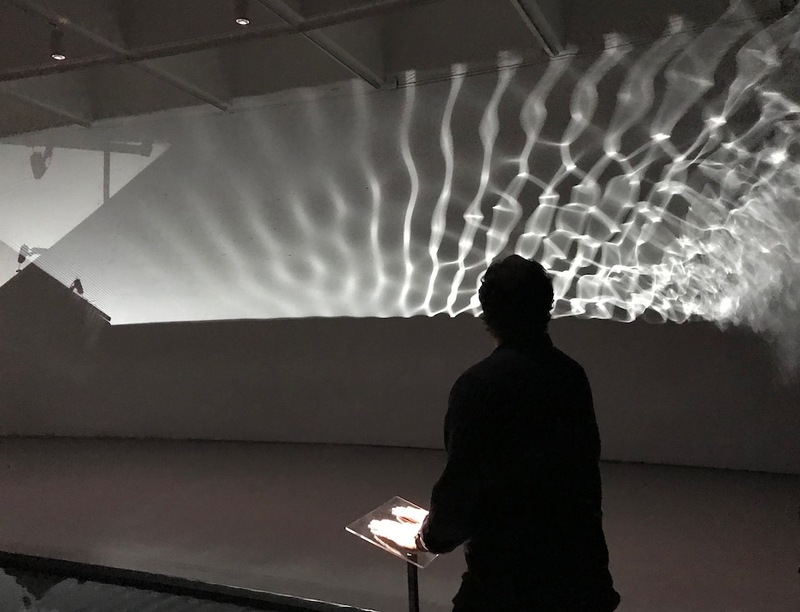 Requiring visitor engagement, Pulse is comprised of three large-scale installations that use heart rate sensors to produce audiovisual experiences from visitors’ own biometric data. 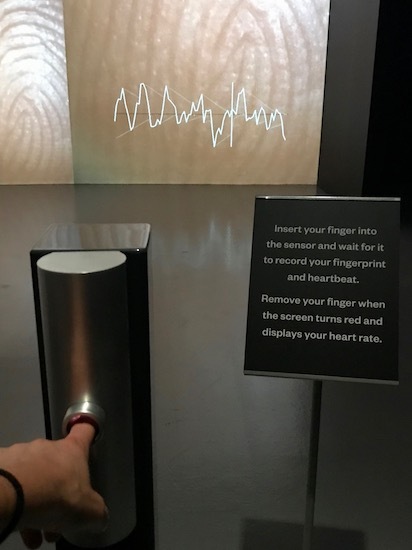 That’s right, your heartbeat — along with those of other museum-goers — helps generate many of the scenes and sounds throughout the exhibition. Visitors’ fingerprints play a big part in it, too. 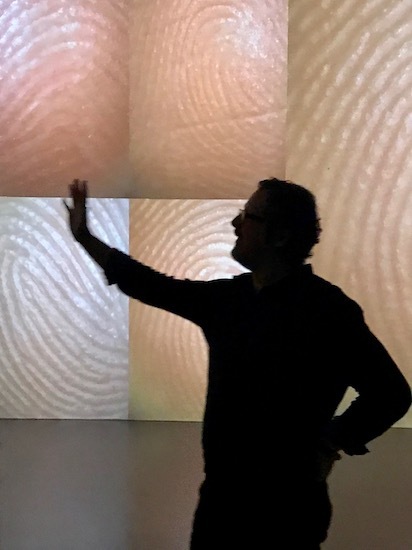 Taking up the entire second floor of the Hirshhorn, the exhibition begins with Pulse Index, which records participants’ fingerprints (along with their heart rates) and projects them along one wall. There are 10,000 of them, beginning with one giant image of the last print recorded, then more smaller images of previous prints that reduce in size as they move along the wall. Every time a new print is recorded, one is deleted from the other end, a metaphor for the human life cycle. It’s arresting to see all of the individual identities in one sweeping projection. 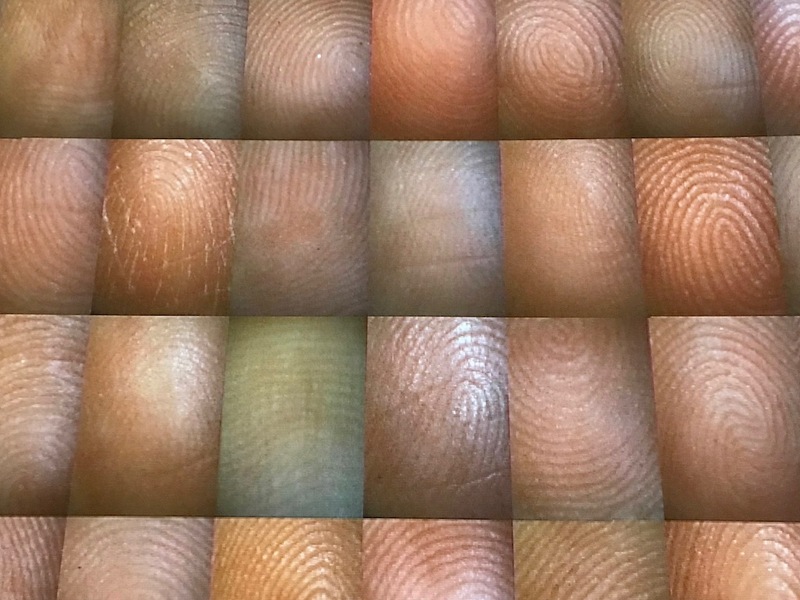 Lozano-Hemmer also noted that creating this landscape of fingerprints — which are usually used to track and identify — and making them into art, symbolically breaks up the control of our current identification systems. In the next room, Pulse Tank presents several illuminated water tanks throughout the room with heart rate sensors connected to them. Visitors interact with the sensors by inserting a finger or placing palms on a surface. Computers then detect their pulse and tap ripples into the water, and the patterns are reflected onto the wall. 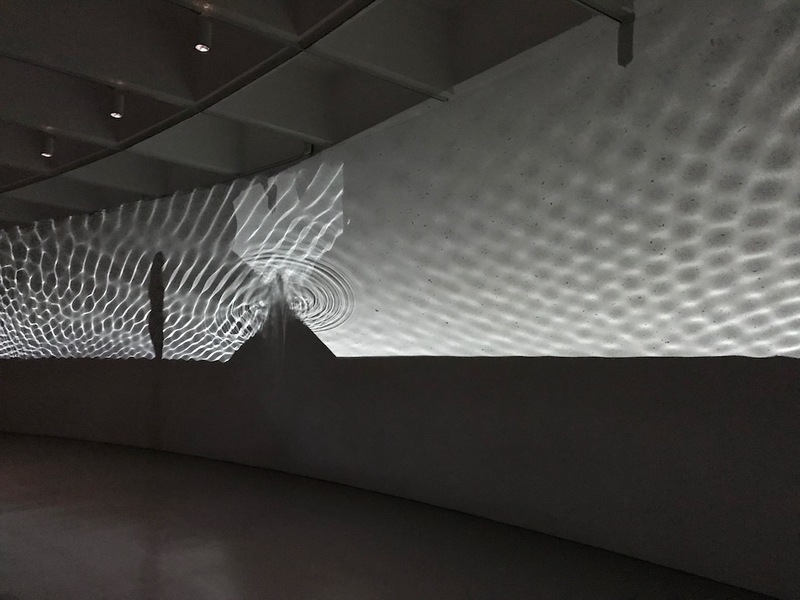 Essentially, you can see your heartbeat as shadows and light and watch it move along the wall, sometimes intersecting with those of other visitors, but each of them unique. 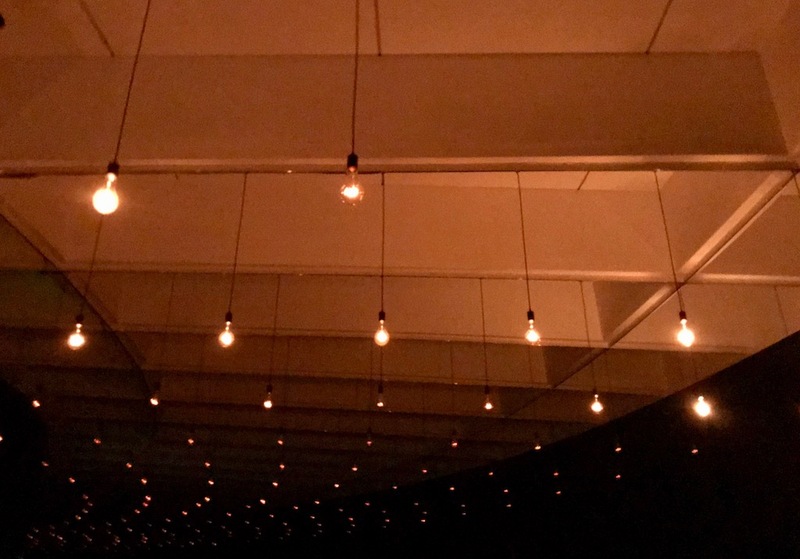 The final installation, Pulse Room, kind of has a disco feel to it with 200 flickering incandescent light bulbs hanging from the ceiling in the dark gallery with a reddish-orange hue. There’s a low rumbling that almost sounds like the build-up of something larger that never comes to fruition. You (or at least I did, anyway) realize later that each light bulb represents a heartbeat, and that rumbling sound is 200 of them playing at once. A sensor on the far side of the room lets you add your heartbeat to the mix. It starts with the first bulb, which blinks with your heart rate. Like the fingerprints, as a new heartbeat is added, the rest move to the next bulb, the last one dropping off — again, signifying the cycle of life. It’s at once moving and enchanting, uplifting but also a little bit grim as we’re reminded that we’re all in this together, though — in the broad spectrum of the universe — our time here is fleeting. Pulse is likely going to be a popular exhibition, and there may be lines to interact with it and use the sensors. 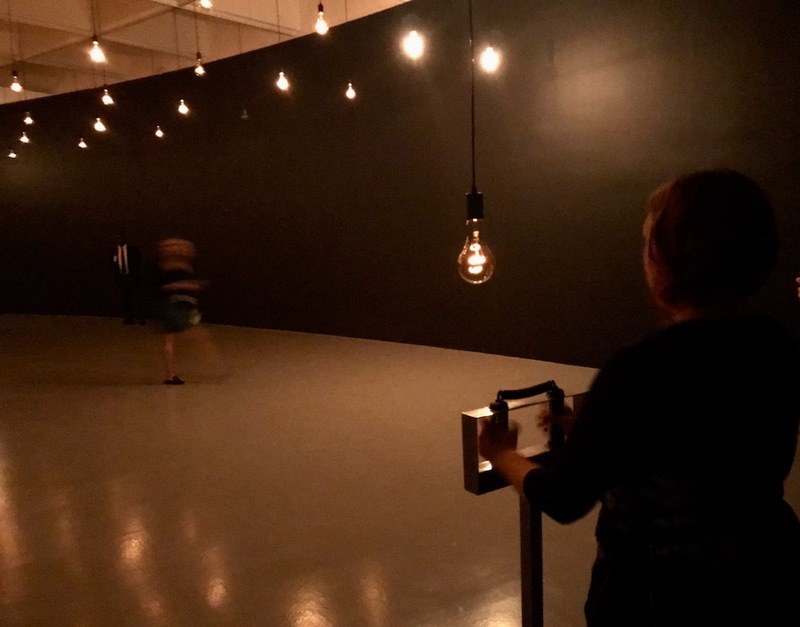 But unlike previous exhibits with waiting times, in this one you can still immerse in and enjoy the art created by Rafael Lozano-Hemmer — and everyone interacting with his work — while you wait, since the results are all around you. That seems fitting for an exhibit that, in many ways, illustrates our collective experience as human beings. Kids are very welcome to Pulse — Lozano-Hemmer has three himself and says that children often change the environment of the room, making it more lively and playful than the somber feel of just adults. And while young children may not understand the underlying meaning of the works, they will enjoy interacting them and, hopefully, experience a sense of wonder. Pulse will be at the Hirshhorn through April 28, 2019. Museum hours are 10am – 5:30pm. Admission is free.